In the words of Jasper Carrott in 1975 ‘When I get me moped out on the road …. I’m gonna ride ride ride’. It reached the top five in the charts, and yes those awaiting their 16th birthday could only dream and envy the riders who had achieved their freedom. Top of that group were the pilots of the Sports Moped and that is the category this Veloce publication views through the trail of blue smoke. Author Richard Skelton begins by explaining the origins of a phenomenon that swept the country, thanks largely to politicians that looked to shoot down ‘sixteener law’ (up to 250cc) and managed to shoot themselves in the foot. 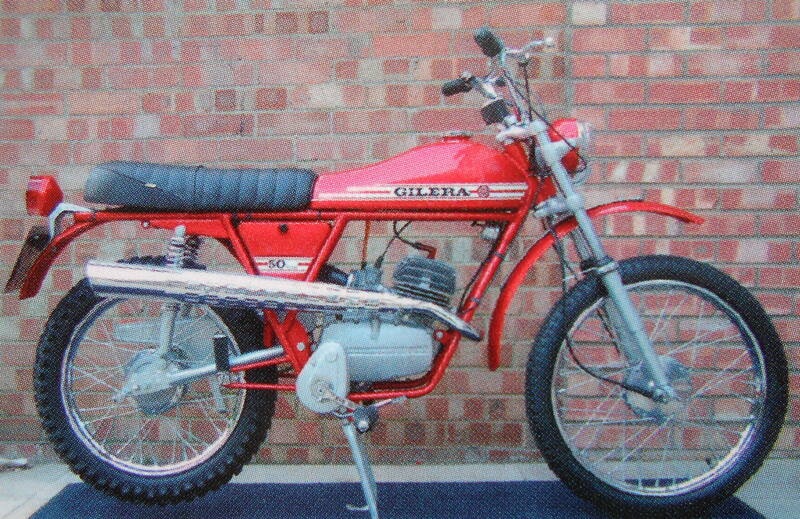 The fitting of pedals was just a nod to the ‘powers that be’, the Sports Moped was available in 72 and all the manufacturers desired a slice of the action. The average teenager wasn’t going to be seen riding a ‘ped’ with a basket as they wanted a ‘proper’ bike, with gears and an attitude. The book explains how this situation evolved, the machines that arrived on our shores with their performance figures; in period there were always two versions, one true and the teenager riders. It created a new culture that came and went, but then enjoyed a revival over the past couple of decades. 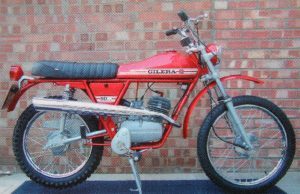 The owners, like my mate Alan who enjoyed the mighty Gilera Touring back in the day and now facing retirement, still loves the smell of two stroke in the morning! The chapter on the owners is fascinating with individuals who are largely creatures of habit, if they had a Suzuki AP50 in their teens, likelihood is they have one (or more) 4 decades on. 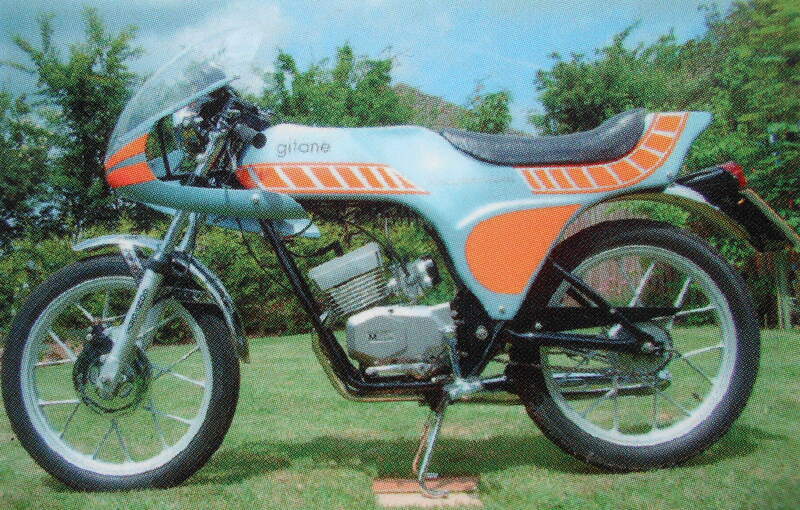 The brands went way beyond the regular Japanese big three, as the European’s threw some of the wackiest and fastest designs into the mix with names such as Gilera, Garelli, Fantic and Gitane. 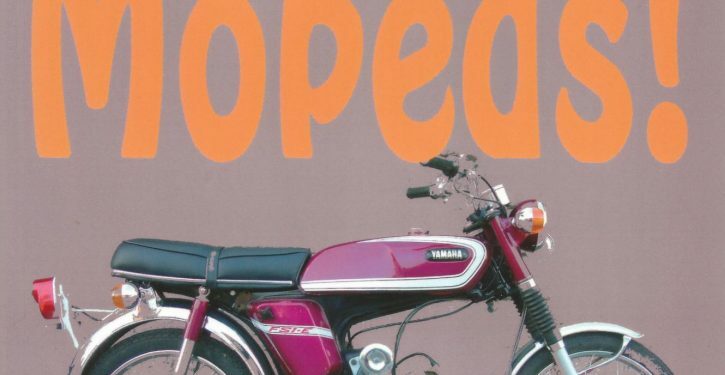 Yamaha’s FS1E is probably the most recognised machine, so popular it made a return in the 80s and whilst the book covers this model in real detail it also remembers manufacturers that didn’t sell in such large numbers such as the Dutch brand of Batavus or the Belgium Flandria. Overall, this homage to the transport needs of spotty 70s teenagers is great fun; written with wit and accompanied by some great images and original advertising. Perfect for the biking ‘pre-pensioner’ whom, even if they didn’t own a funky moped back in the day, would certainly have hankered after one. 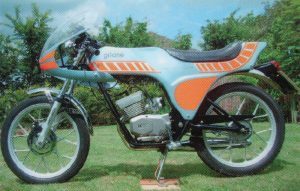 Richard Skelton is a part time freelance motorcycle journalist whose first bike was a FS1E arriving on his 16th birthday in 1976; he still has a ‘Fizzie’ taxed and tested for summertime use and lives in West Yorkshire.